Emmaline A has found a new home ❤ Miss Emmaline B is still available. 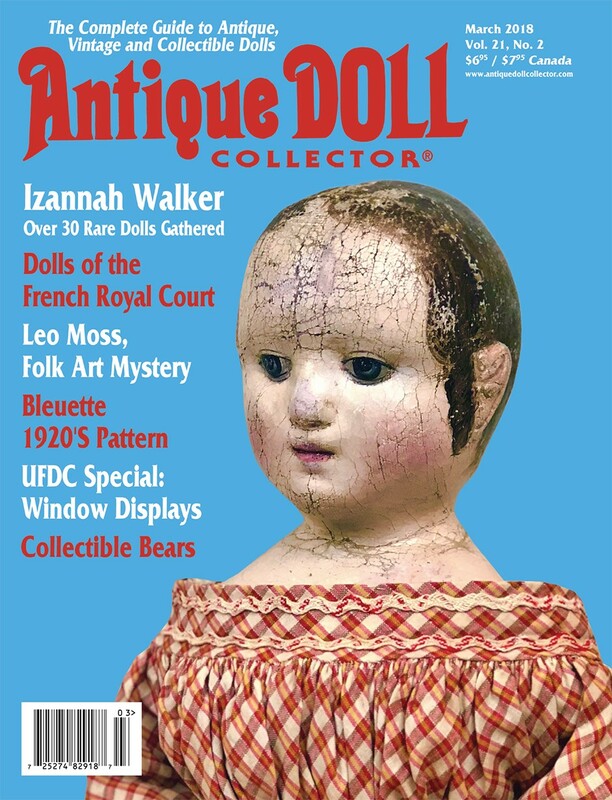 She has a sweet, softly distressed paint finish that gives her an aged, well loved appearance – yet still retains vibrant coloring. The hair around her face is in soft waves, with ringlet curls in front of her ears and at the nape of her neck. “B” has some lovely blue embroidery on both her pantalettes and petticoat, plus a long chemise that will do double duty as a nightgown. Her white cotton dress is trimmed with myriad tucks and summery eyelet. The tops of her painted boots have a stripe of blue, that echos the blue embroidery on her undergarments. If you are considering a 2nd dress, a blue printed cotton or red, white and blue paisley would both be very striking choices! Happy Third Thursday of July! It’s a hot, sunny day here in Connecticut. My studio is filled with glorious, bright sunshine, just perfect for painting, but not all that wonderful for photos… So please excuse the glare and know that both sweet Emmaline’s look much nicer than these photos convey. 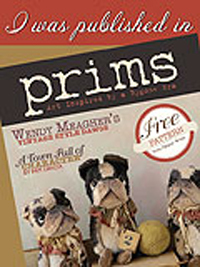 Dolls sold on a first come basis. 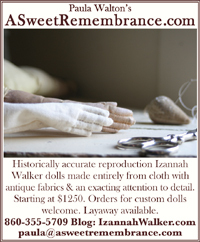 Email paula@asweetremembrance.com to purchase. EMMALINE A – $1375.00 SOLD – Thank you to everyone who inquired about her!!! Emmaline A does have stockings but Miss Sadie the mischievous feline has absconded with them. I didn’t realize Emmaline’s stockings were missing until it was time for photos… The stockings are white silk. This is our day for footwear explanations 🙂 Emmaline B could not have her shoe laces painted, because it is the very last thing I do after her legs are completely painted… Well her legs were not dry until this morning and I couldn’t paint her laces and get her dresses without the fear of smeared paint! 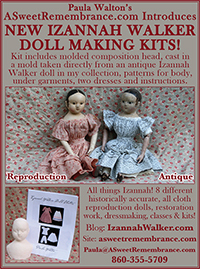 Thank you for stopping by to see my latest reproduction Izannah Walker dolls! 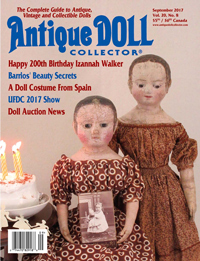 Previous Post In Celebration of Izannah Walker’s 200th Birthday I am Curating a Very Special Public Exhibit of Izannah Walker Dolls! 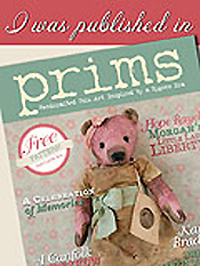 Dear Paula, I hope the person that bought Emmaline A is as happy with her as I am with my Emmaline, renamed Annabelle May. They are sisters! Jane I hope so too!!! You can see that I loved your fabric choice so much that I chose that one as well. 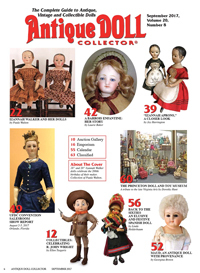 🙂 Give Annabelle May my love! Yes! Lay-away is always available. 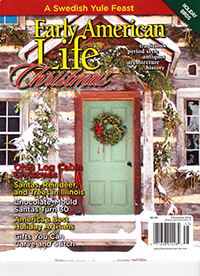 I was rushing like crazy to get this post up before noon, so I didn’t have time to add all of my normal details. I need to set up a basic outline that I can use every time to make it faster.